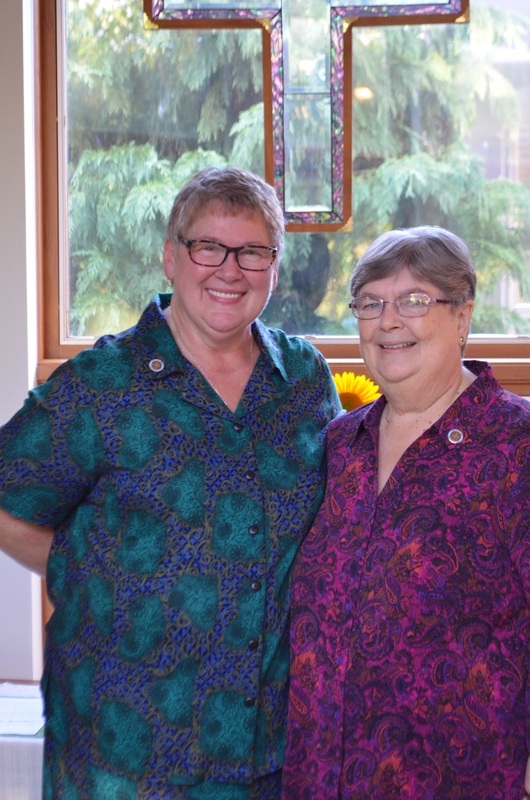 Sister Kay Fitzgerald (left) is a scholastic. She made her first profession on September 2, 2018 at Saint Benedict Monastery. Sister Cecilia Dwyer (left) accepted her promises of obedience, stability, and conversion to the monastic way of life for three years. During this time, Sister Kay will engage more deeply into the everyday life of community and ministry while discerning and preparing for perpetual profession.